All pictures on this page have been scanned from items in our own collection. All rights of reproduction reserved. 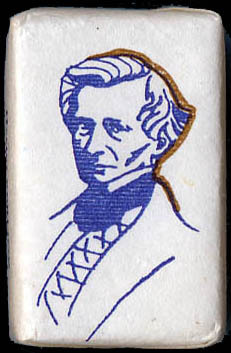 The actual size of the chocolate bar is 2cm by 2cm, and the Berlioz label is just over 1cm long. A friend kindly brought us a box of these delicious chocolates as a souvenir present from his short visit to La Côte in early December 2005. 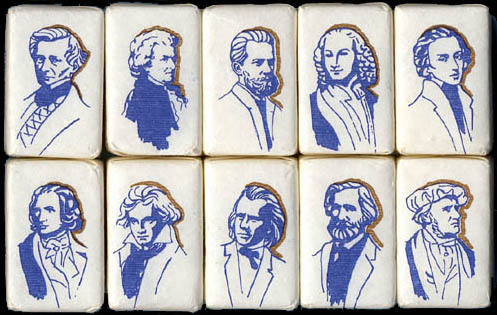 © (unless otherwise stated) Michel Austin and Monir Tayeb for all the texts and images on Berlioz Memorabilia pages.